Al Karamah is a suburb of Dubai, one of the oldest, most populous districts in the city. Many people move in and out of this suburb and require reliable Al Karamah movers to help with the move. At First Removalists, we’re familiar with this district so our team will have no problems carrying out a removal to or from this area. 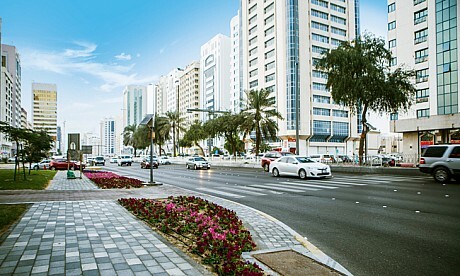 Whether you want to move to another suburb, another city outside Dubai, or a different country, we can help. Our team of experts can handle all kinds of jobs in an organised, effective fashion. Residential moves are always stressful; most homeowners have to juggle many tasks at once while dealing with a big change in their lives. We ease this burden by providing excellent moving services. You can relax as our team packs, loads, transport, unloads, unpacks all personal possessions. 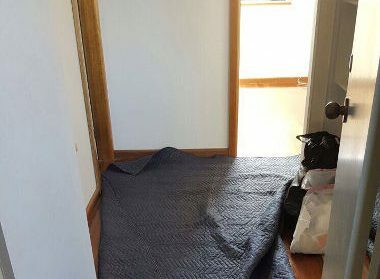 Experienced professionals can handle this process well, making sure they use the best techniques to prevent any damage. We can handle residential jobs of any size so whether you have a small apartment or a large 4-bedroom house, the team can help. All our best Al Karamah movers are reliable and trustworthy, hired after a comprehensive background check so your possessions will be secure. Business owners have different priorities than homeowners, which is why they require specialised moving services. We have worked on several commercial moves before so the team knows how to accommodate special requirements of commercial clients. Most of these jobs are time-sensitive as business owners want to minimise downtime as much as possible. Our team plans every aspect of a move carefully, noting details like the number of items, destination, time, special requirements, etc. This ensures all products, tools, equipment, office furniture, storage, and important documents reach the destination undamaged. If you’re looking for the “best cheap removals company near me” for commercial projects, call us today. Disassembling large pieces of furniture like beds, display cases, shelves, etc, so they’re easier to transport. Wrapping all individual components and small furniture items to protect their finish. Unwrapping all packed items at the destination. Our team will double check everything to ensure the furniture is put together properly and there’s no damage. 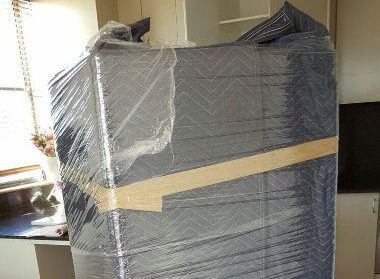 If you’re looking for reliable, professional furniture removals, we’re the right choice. This is perhaps the most frustrating and time-consuming aspect of any move. It’s important to ensure all items are secure for transport. Inexperienced individuals are often careless, cutting costs and corners during packing. Unfortunately, that can lead to the additional expense of replacing or repairing items. Quality of packing is especially important during international moves because your shipment has to travel over large swathes of land and sea. Poorly packed items can easily become damaged during this journey. 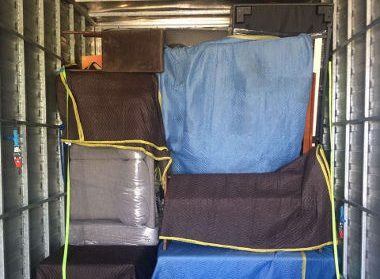 As one of the best international removal companies in Al Karamah, we take special care to ensure all items are secure. 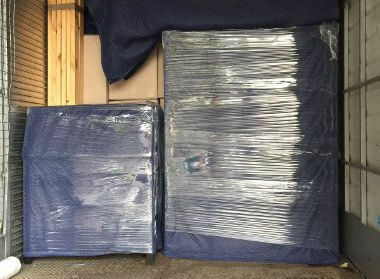 Our team will use good quality packing materials for maximum safety. We’re just as careful during domestic jobs, making sure all your possessions are packed securely. 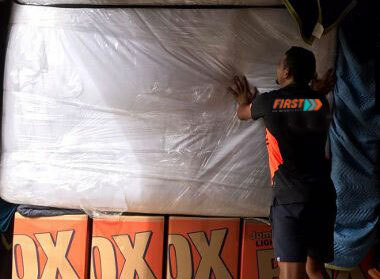 First Removalists offers both domestic and international moving services. An efficient logistics team handles all legal technicalities, including permits, forms, paperwork, etc, to ensure your possessions reach the destination without delays. We serve many popular domestic and international destinations, partnering with reliable shipping carriers to ensure safe transportation. As established Al Karamah movers, we also have an efficient customer service team who can answer all your questions, help you choose the right plan, and provide tracking information. All customer service executives are professionally trained so clients can expect full assistance. They will also provide excellent moving services. 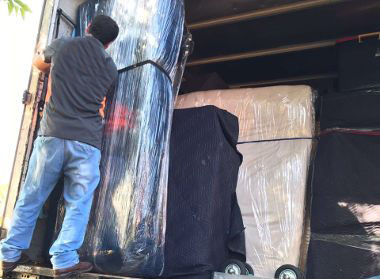 At First Removalists, we offer quality low-cost Al Karamah movers solutions. Get in touch with us through our online form or call us on 0525 633 557, our customer service team will be happy to assist!